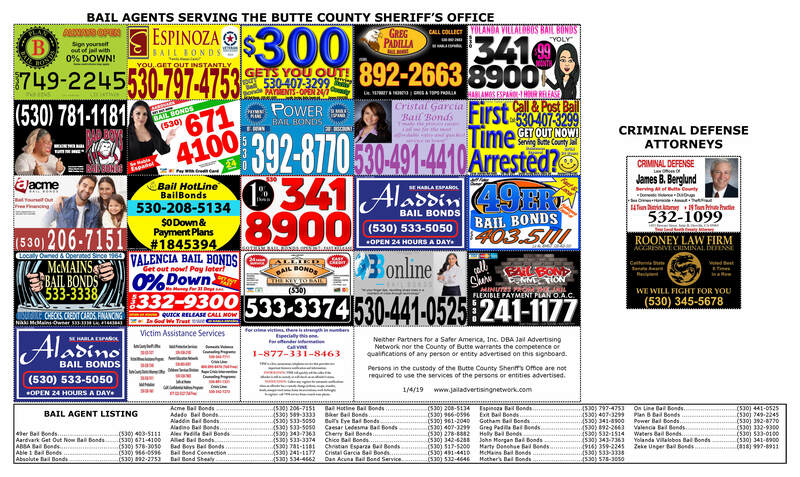 Bail agents must follow specific guidelines for producing their ads. To review the Advertising criteria, click the Bail Agent Ad Criteria Form at the bottom of this page. Copyright © 2015-2019 Jail Advertising Network. No portion of this website may be copied or reproduced without the express permission of Partners for a Safer America.